Okay so I am a little behind on my book reviews.Bare with me as I change up some things here on the site. So I need to tell you all about this book. 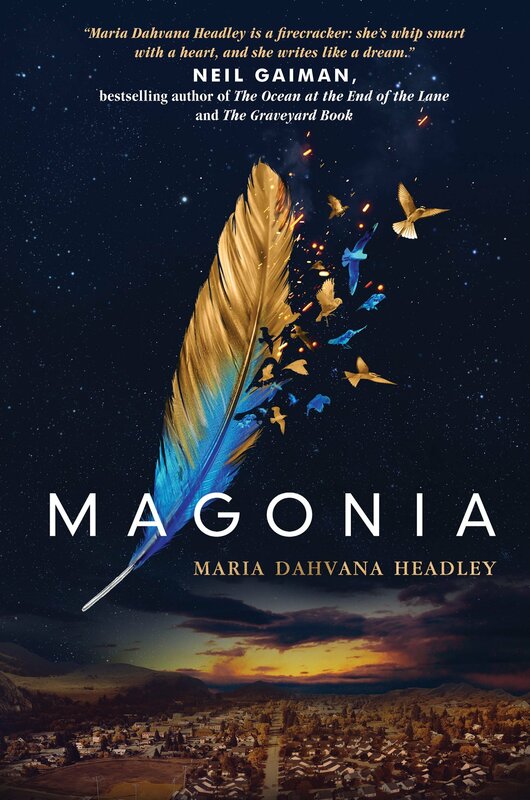 Magonia by Maria Dahvana Headley is one of the most imaginative stories I have read in quite some time. You can’t compare this to anything else. You can’t describe it by saying that it’s the next game of thrones or the next hunger games, because this book stands out on its own. It is about Aza Ray who has been sick her entire life. It is a mystery what the character has, but it is a lung disease where she has a lot of trouble breathing. Suddenly she starts seeing ships in the sky. That’s right SHIPS (ok this aspect is a little like Stardust, but thats where the comparisons end) Her family kind of just shrugs it off as “oh well you have crazy side effects from your medication…ships in the sky…HAHA” (not a direct quote here. Craziness ensues and she ends up in a world where she’s no longer sick, and she’s no longer weak. Listen, I don’t want to give too much away but I really loved how creative this story was. I read it fairly quickly as it’s not that big of a book (300ish pages) I loved it, and highly recommend it if you’re looking for some out of this world fun and a unique story. Comment below if you’ve read it, but please NO SPOILERS!! Comment below if you haven’t read it as well!! Lol, love your rating system!